Vila Pouca de Aguiar is surrounded by stunning natural landscapes, so, it’s only natural that outdoor sports are an important leisure activity. There are also modern sports infrastructures that complement and expand the variety of activities on offer, for all ages and levels of intensity. Mountain biking is also a great way to explore local hidden paths. Vila Pouca de Aguiar has a good network of bike tracks, with special mention to Ecopista do Corgo, a cycle route with approximately 29 kilometers. The whole itinerary is properly signaled. Paving varies along the track: asphalt, rock cobbled floor to and dirt roads on the mountain areas. The first kilometers of this course run on the old Corgo Train Line. The Vidago Palace’s golf course was originally built in 1936. It has since been completely rebuilt according to USGA specifications for tees and greens into a Par 72 course. It also includes a golf academy, a 340m driving range, a chipping area and two putting greens. Electrical buggies, pull trolleys, electrical trolleys and golf clubs are available for rent at the club house. Every hole is a challenge and each of the last 9 is completely different from the former, so as a golfer you can test and play the full range of shots. Just 7 km away from Casa da Tapa, in Pedras Salgadas, there is an equestrian center with great modern facilities for horse-riding, offering a full range of equestrian activities and services. Step off the beaten track and be surprised by the countryside perls: small villages, picturesque train stations, ancient walls of loose stone, rock formations, historic monuments and elevated viewpoints. Come in contact with nature in a way that wouldn’t be possible on a car ride. There are many walking routes with different levels of difficulty, including one just across the street from the house and into Carvalhada Forest Park. Also close by is the St. James route to Santiago and Ecopista do Corgo. A world of adventure awaits travelers, families and those seeking for new experiences. Explore the beauty of Northern Portugal with professional customized canyoning trips, rafting tours and other programs! If you’re feeling like playing some tennis, a quick drive will take you to Chaves, where the Ténis Clube de Chaves offers 3 outdoor hard courts. Check the detailed map for directions. 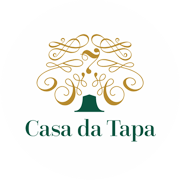 The map below details sports and outdoor activities entities and facilities in and around Vila Pouca de Aguiar. You can interact with the map and find detailed info and directions. Trekking and bike routes are too extensive to be included in the map, but we have included a portion of Ecopista do Corgo (a greenway for bikes, pedestrians and horses) and Caminho Português Interior de Santiago (part of St. James route to Santiago de Compostela).